Crochet is great for settling the mind and encouraging relaxation. Learn to do basic stitches, read patterns and complete projects in a relaxed and friendly space – left handers very welcome. 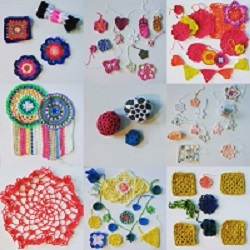 You’ll learn to make a granny square, change colours and how to increase and decrease. You’ll also find out more about the notations and abbreviations of crochet stitches so you can make those awesome crochet projects you've been waiting to make!